Make your inner child smile instead of cry with these mildly sour mouth watering treats. These delicious pressed candies were made for vending in candy machines and are great for decorations, gifts, and games at baby showers. 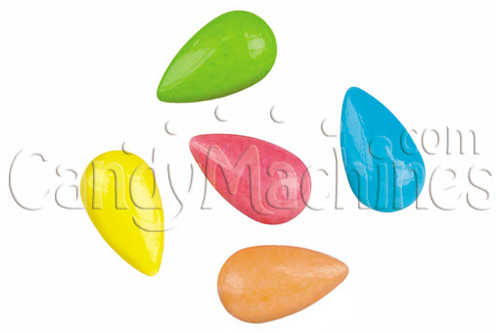 Their smooth pastel colored coats have an eye catching shine and will be pleasing to look at in any candy vending machine. 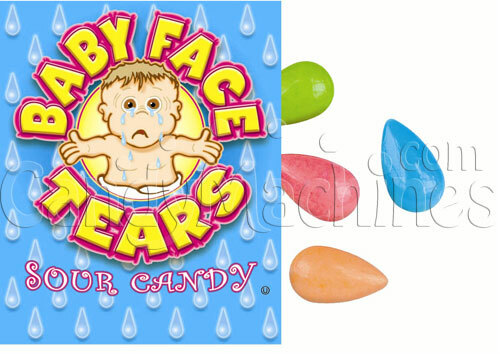 They are shaped like tear drops!! This mix includes Lemon (Yellow), Orange (Orange), Cherry (Red), Lime (Green), and Raspberry (Blue). 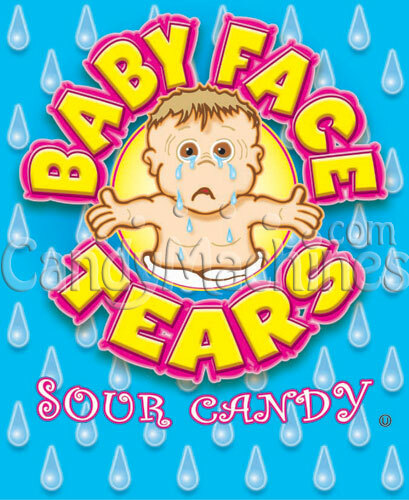 Need a machine to vend these tear drop candies? Be sure to see our full line of candy vending machines. I love these candies, they have great flavor and they aren't too sour to eat!